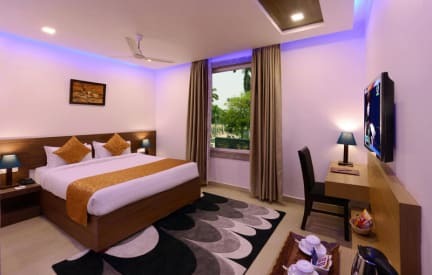 Situated Opp A.S.I Kamalapuram Museum, Clarks Inn Hampi is a luxury accommodation in Hampi, offering chargeable internet access and breakfast service to its patrons. The Kamalapur New Bus Stand is 0.5 km away from the property. 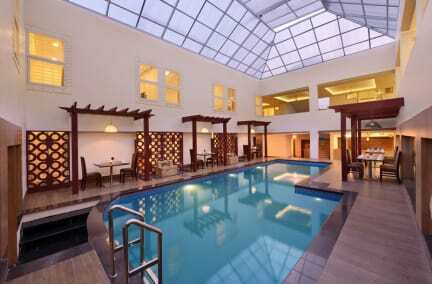 Clarks Inn Hampi, a 3-storey hotel, comprises a total of 38 well-equipped and spacious rooms. In-room amenities offered are air-conditioner, television, electronic safe, electronic access room lock system, bottled drinking water, mini-bar and attached bathroom with hot/cold water facility.